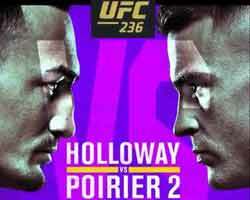 Review: 2012-06-08, pretty and balanced fight between Demetrious Johnson and Ian McCall but it is not enough to get three stars. 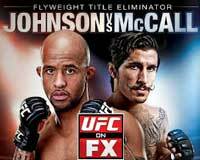 Demetrious Johnson (14-2-1) entered as the No.2 flyweight in the world while Ian McCall (11-2-1) entered as the No.3. Johnson vs McCall 2, flyweight title eliminator, is the main event of UFC on FX 3; their first fight ended in a draw (March 3, 2012). Rate the video!